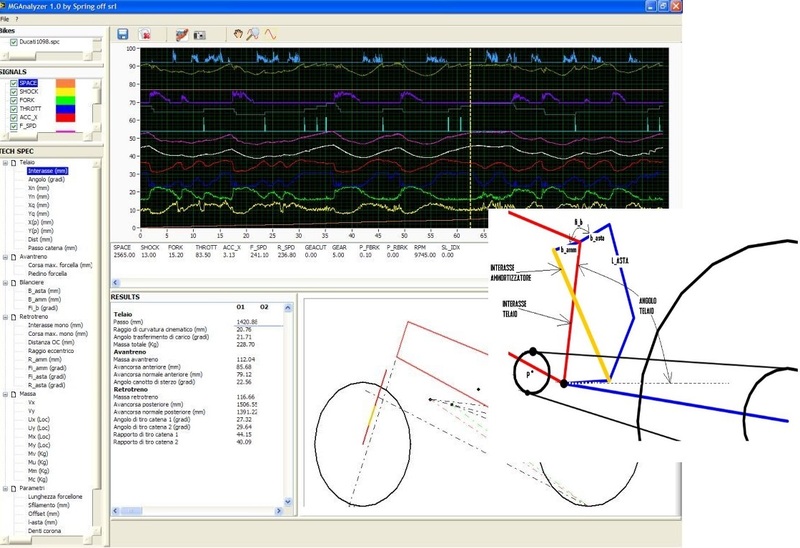 The Motorbike Geometry Analyzer is a simulation environment of the motorcycle dynamics developed to meet the needs of analysis and development of racing professionals. The environment elaborates experimentally acquired data and geometrical parameters of the specific motorcycle to determine the temporal evolution of the reciprocal position between the moving parts of the frame. The creation and management of different motorcycle databases (technical parameters in format. SPC). The analysis of the parameters of interest at each time of acquisition through a double representation (graphic and numeric).